This garlic shrimp recipe is bound to be a favorite, because who can resist garlic, shrimp, lemon and Parmesan cheese?! The challenge with some “one pan” recipes or sheet pan suppers, is that when you add everything at once, something is bound to get overcooked. 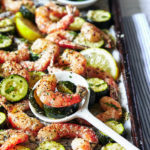 In this case, since shrimp cook so quickly, this recipe calls for roasting the zucchini first, before adding the shrimp to the pan at the end. 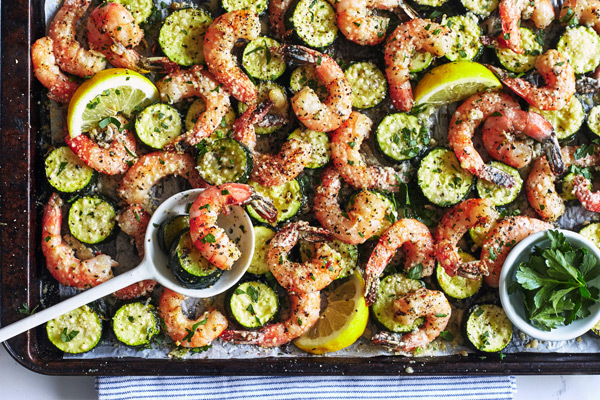 Doing so helps ensure the shrimp emerge tender and juicy when you pull your sheet pan dinner out of the oven! If zucchini isn’t for you, then asparagus, bell peppers, or other summer squash would make excellent substitutes. 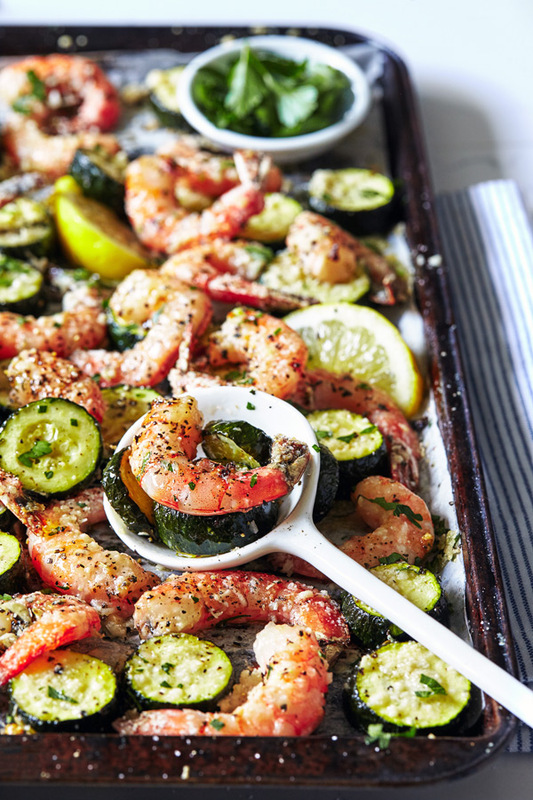 If you’re lucky enough to have any leftovers, the garlic shrimp and zucchini would be great tossed into a salad or served with a side of whole grains like quinoa or buckwheat. Drizzle with lemon juice and sprinkle with parsley; serve immediately. Add a side salad or veggies for dinner. Add an FFC for lunch.